Here is the last border print produced by Chance in 1973 called 'Hedgerow'. 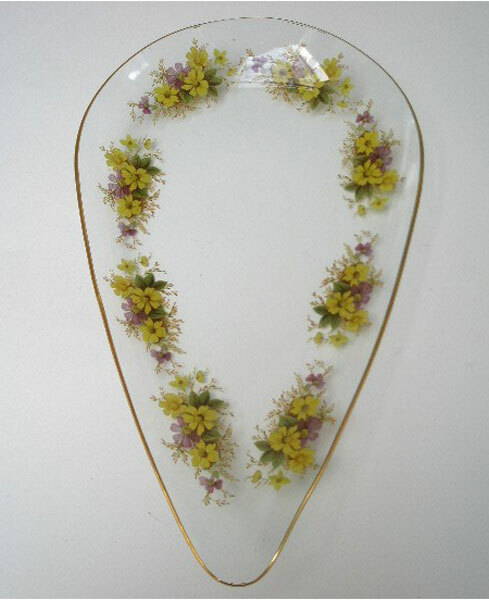 It is a pattern of delicate lilac and yellow wild flowers, against green leaves and on the teardrop/ pear shape. It has gilt edges. Unusual decorative piece but also functional.